Start your review of Nik Jr..
41 Reviews of Nik Jr. I had an exceptionally remarkable experience visiting Don Wheaton. From the moment I entered the dealership, I was already greeted by a nice gentleman/Corey who did not mind leaving his seat while on lunch and ask how he can help, and then walked me to a great salesperson Husan Tahir. Very knowledgeable, well informed and thorough, Husan patiently worked with me and made sure we get the car we need and the features we wanted for our budget. 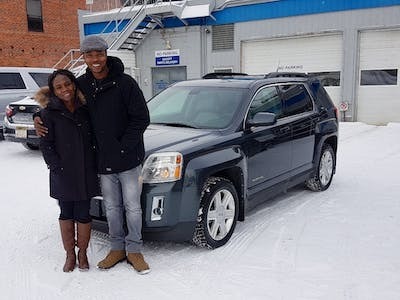 Working with Nik in finance was also a pleasant experience, overall, we are fully satisfied with the transaction and very happy with our new vehicle. Thank you for the great review! We are glad you had a good experience working with us and we hope you enjoy your new vehicle! Came in on a Sunday evening where the dealership was less busy, was helped immediately and directed to Cory Sayer for inquiries about a used car on their lot that we saw on Autotrader. We were given a test drive on the spot, and all our questions were answered. They were very cooperative and even replaced the cracked windshield on the car for a brand new one. Overall experience was very pleasant, would definitely recommend if looking for a used car or if you have the money check out their show room, they’ve got plenty of sweet Corvettes. Thank you for the great review Eric! Thank you for the 5-star review! We hope you enjoy your Terrain! "Wow this was a great experience "
Big shout out to Shawn n Nik jr. Who made this as smooth and flawless of a transaction as possible. I cant thank you enough for going over and beyond.takin calls an texts from me during lunch after hrs and even staying late to allow me a test drive.but constantly jumping to keep me happy.thank you.and I will most certainly be back.you guys have earned a customer for life.cheers. We are glad you enjoyed your experience working with us, and we look forward to working with you again in the future! Thank you for the review! First, I would like to thank all the staff members (specially to Patrick) at the Don Wheaton who babysat our two very active toddlers while we were busy shopping for our new Cadillac. Our Salesperson Husan Tahir has vast knowledge and experience of these luxury cars. He gave us his honest opinion and answer all our crazy questions very patiently. Nik took time to answer all our questions relating to financing and was quick in getting paperwork complete. We love our new purchase and I feel safer on the road while I drive my family around. If you want to make your vehicle purchase experience satisfactory I recommend you visit this car dealership. Thank you for the great review! It was a pleasure working with you and we hope to do so again in the future! 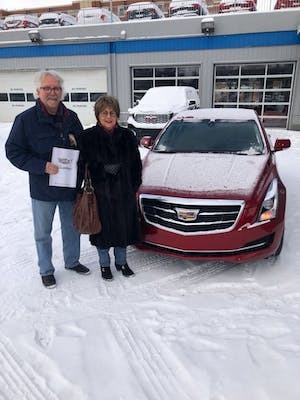 "Excellent Sales Consultant and Business Manager"
Our purchase today is our second Cadillac purchase from Don Wheaton GM. Ethan's sales service was excellent. He took the time to explain all the features of our new vehicle, assisted in many ways to accommodate us, answered all questions, and provided excellent communications during the purchasing process. He was professional, very knowledgeable about the vehicles, and provided assistance in getting the vehicle registration, etc. Tim Florek and Nik Jr., Business Managers, were also professional and provided guidance that was helpful. Over the years we have been more than satisfied with the service we have received from Don Wheaton GM, and chose this dealership a second time because of the staff and service. We highly recommend this dealership for their sales and service. Thank you Ethan, Nik and Tim! Thank you for the amazing review! We hope you enjoy your new Cadillac and we look forward to working with you again in the future. Thank you for the great review Steve! We hope to work with you again in the future.